It is, perhaps, the first time this season that Manchester United enter the weekend’s fixture with spirits high after David Moyes’ men achieved three victories on the bounce as part of a six match unbeaten run. True, not all of United’s performances have been stellar since West Bromwich Albion beat the Reds 2-1 at Old Trafford in September, but momentum is momentum and Moyes’ outfit has at least a modicum of it going into Saturday’s fixture against Fulham in west London. Craven Cottage has not always been a happy destination despite the picturesque nature of Fulham’s riverside home. Indeed, in the past five seasons the Cottagers have taken eight points off United, after successive victories in 2009, and a late draw secured a year later. However, there is little doubt the Reds remain favourite to win in the capital, with Martin Jol’s side struggling for form this season. The Dutchman has been under pressure to turn Fulham’s campaign around following five defeats in the league to date, not least because a new owner normally brings a change in management. American Shad Khan, owner of the Jacksonville Jaguars NFL team, took control from Mohammed Al Fayed in the summer. By contrast the pressure on Moyes has eased somewhat following victories over Stoke City, Real Sociedad and Norwich City in the past week. These have hardly been classic performances, but in a transitional period the new manager will take all he can get. Indeed, this is a time that United must close the gap on rivals, says Moyes, with Arsenal eight points clear of the Reds, and Chelsea just two back from the Gunners. “We’ll take one game at a time and try to start getting a bit closer to the top end,” said Moyes on Friday. “It’s a gap we have to try to work to get closer to. That’s the plan but there’s a long way to go. We’ve started to put together one or two half decent results and hopefully that starts to build a bit of momentum. Victory over Norwich in the Capital One Cup was the third time Moyes’ outfit has struck four this season, although for the most part goals have been more troublesome than in previous years. Still, with Robin van Persie, Wayne Rooney and Javier Hernández all scoring goals in recent matches Moyes is hardly short of attacking options. Yet, the Scot faces key decisions about who and where to deploy his other forwards, with Shinji Kagawa and Adnan Januzaj performing well in recent weeks, while Ashley Young, Nani and Antonio Valencia have put in mixed performances. In central defence Moyes must decided whether to stick with Rio Ferdinand and Nemanja Vidic, after the pair played against Norwich, or revert to two of a younger trio of central defenders at his disposal. Phil Jones and Jonny Evans are currently preferred in the league, suggesting the end of a glorious era is nigh. Meanwhile, United could be eve. More threadbare in midfield than normal after Michael Carrick picked up an Achilles injury during the week. Marouanne Fellaini, Ryan Giggs and Tom Cleverley compete for two spots in central midfield. Either way, Moyes is likely to rotate once against on Saturday, with United facing a testing match against Sociedad in Spain next week. Victory at Anoeta could secure Champions League group stage qualification after four rounds , although defeat in London might leave United 11 points behind the leaders. Yet, the manager’s tendency to over-rotate suggests a ma not yet comfortable with his best team, nor one who has yet mastered the art of using his resources to maximum effect. “We will make changes,” added Moyes. “They’re all first-team players in the squad and in their own right could all be playing every week. “I think both (Vidic and Ferdinand) are very close to full fitness. They showed that in midweek when playing Premier League opposition. They both played for 90 minutes so I can’t see any reason why they wouldn’t be ready to be selected or involved. Meanwhile, Fulham manager Jol is without injured pair Hugo Rodallega and captain Brede Hangeland, although Sascha Riether, Scott Parker, Pajtim Kasami and former Red Dimitar Berbatov will all come back into the side after sitting out the west Londoners’ midweek cup defeat at Leicester City. It was a desperate result for the Dutchman, following just three days after Fulham lost away at high-flying Southampton in the league. With Liverpool, Swansea City and West Ham United to follow there is little respite for Jol this side of Christmas. Jol isn’t showing the pressure just yet, althought defeat to United could leave the Londoners in the relegation zone on Sunday night. “I don’t feel pressure because we’re not bottom of the league, there are six or seven other teams on similar points and lower,” said Jol, who was once offered the position of Sir Alex Ferguson’s assistant manager. “If people tell me I’ve got pressure, then I’ve got pressure – but for me it’s no problem. There are a few teams on 10 and 11 points, so we have to come up with a surprise result. Indeed, Fulham’s home may be compact – surrounded on three sides by residential housing and on the other by the Thames – but there has always been a vibrant atmosphere for United’s arrival. None more so with three good results secured by the home against United in recent seasons. Repetition is a prospect that Moyes is unlikely countenance. Not after finally securing a little momentum this season. 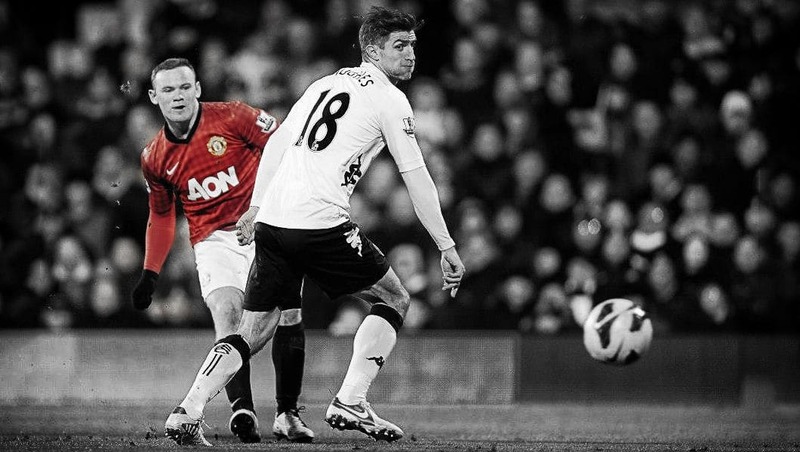 “: Preview: Fulham v United – http://t.co/qR3PUal9DU #unitedrant http://t.co/VfVoo0Ndkw”what a goal. Certainly wouldn’t play Rio & Vida together, but would mix them up so either Evans&Ferdinand or Vidic&Jones with the rested couple then playing in midweek. 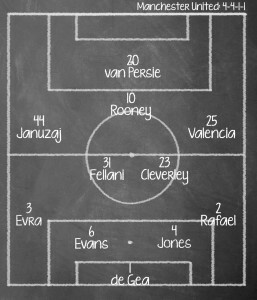 Not sure why but I’d quite like to see the Fellani & Cleverley combo: and they both need to up their game. Giggs more suited to Euro pace matches so perhaps bring him in next game. Various noises coming out about RVP’s painful toes so maybe rest him and use the opportunity to get Kagawa playing off Rooney. As usual, it’s a must win. Seconded. Play Shinji in the hole behind Rooney. How bad could it be? A Jacuzzi/Kagawa/Nani 3 behind Roon with everyone interchanging would destroy them. Rest RVP for the UCL game. Take Roon off to rest him after 60 and give little pea a shout. Everyone happy and three points in the bag. Of course, this will never happen…..